There are literally millions of groups on Facebook! I belong to hundreds and administer a handful of them. Facebook groups are a wonderful space for sharing information and having a discussion about whatever topic you are interested in. I belong to a Cast Iron Cooking group that has over 235,000 members! I love my cast iron skillet and so do a lot of other people! Who knew! I’ve met amazing people from all over the world through Facebook groups. I’ve made close friends this way and met many people in person that I first encountered in a Facebook group. I’ve had people stay at my house and I’ve stayed at theirs, that I met in Facebook groups. I’ve talked on the phone with people from all over the world! Facebook groups are an online community that I’ve made into an actual community of people I love and trust. Public: Anyone can find this group in a Facebook search, see what’s posted in the group, and who belongs to the group (member list). Closed: Anyone can find the group in a Facebook search and who belongs to the group, but they CANNOT see what’s posted in the group until they are approved for membership. Secret: These groups are not found in a Facebook search, the member list and what’s posted in the group can only be seen by group members. The only way to join this type of group is to be added by an existing member, and likely needs admin approval. Privacy Caution: I personally prefer Closed or Secret groups. I enjoy the freedom to post something to the group knowing who is seeing what I post. However, the caution here is that nothing you post on Facebook is 100% private. People can copy & paste or screenshot and share anywhere they want to. And they do! There are entire Facebook groups set up just to share info from closed/private groups and to mock the people sharing. So, if you don’t want your info shared, don’t post! That being said, I obviously love Facebook groups anyway (I belong to enough of them!). Just keep privacy in mind of whomever you are sharing about. Do the admins remove comments of members that discuss injuries or bad effects from essential oils? Are members banned from the group for suggesting safe use of essential oils? The above things may seem ludicrous, but there are MANY groups out there that are just like that. Special Note: There is only ONE Facebook for animals group that I recommend. Many groups were getting questions about using essential oils with pets and 99% of aromatherapists have zero training with animals. Human bodies are different than our furry friends and it’s important to have knowledge specific to pets before risking your pet’s health. I brought this need to the attention of Kelly Holland Azzaro who graciously agreed to create a group just for pets: Animal Aromatherapy (Safe Use). Kelly runs a school where she teaches an Animal Aromatherapy Practitioner Certification Course. She is THE person to go to for safe use of essential oils with animals. Thank you, Kelly, for stepping up and filling in this need to have a safe source of information regarding aromatherapy with animals/pets!!! Poster Beware: While comments on a post can be spot-on and helpful, ALWAYS research beyond what someone tells you to do on Facebook. Just because you read something on Facebook, does not make it true! Ask a question in a group, get answers, and then research what you think sounds like it might be a solid answer. Continue to ask questions. Know the Rules: Running a large Facebook group can be a lot of work! The larger the groups gets, the more admins it takes to keep the group running smoothly and this requires the setting of rules so that things are fair across the board. Be sure to read the rules of each group before posting in them. For instance, many have rules against self promotion (trying to sell to other members) and specific ways of posting. 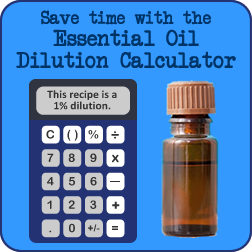 For instance, one group that I’m an admin for, “Safe Essential Oil Recipes Only!”, does not allow people to create new posts, only to comment on posts set up by admins. This makes the group a database of sorts and makes browsing the group easier because there is less clutter to cut through to find what you’re looking for. Breaking rules in any given group can result in being banned from the group, so be sure to read them carefully and play along. In other words, take the argument offline before airing your issues publicly. It will save you embarrassment as much as the other person. Privacy Reminder: As mentioned earlier, there is zero expectation of privacy in Facebook groups. Always assume that anything that you share can be shared outside of the group. Some groups have explicit rules against this, but that doesn’t mean it never happens. It does! With that in mind, only share what you wouldn’t mind being broadcast on the evening news. This may seem extreme, but it’s a good way to remember to think before you share! Give as Much Detail as Possible When Requesting Help: The more detail you provide, the more likely you will get an answer that is actually helpful. Too little information means that group members will have to ask more qualifying questions or may not answer your question at all. Browse Before Posting: Your question may have already been asked and answered. Before repeating a question that’s already been asked 5,000 times use the group search function and then tailor your question based on what you still need to know that wasn’t already covered (or perhaps you won’t need to ask the question at all). Facebook is NOT a replacement for Medical Attention! : This may seem obvious to some of you, but it’s worth stating emphatically! Facebook groups are a great place to get a starting point for an answer, but they are not THE answer. Keep looking for information beyond Facebook. No one on Facebook can diagnose, prescribe or treat a medical concern you are having. And actually, a diagnosis from a medical professional can help when asking for suggestions on Facebook. It’s one more piece of the puzzle. Call 911 Before Posting to Facebook: I’ve actually seen people come to Facebook and ask what to do when the right thing to do is to call 911 or Poison Control (1-800-222-1222). If you are bleeding, burned, having difficulty breathing, or have any other life-threatening medical condition do not waste time posting pics of your condition on Facebook. Call 911!!! If you’re bored while waiting for the emergency squad to arrive, then post away, but it should never be the first thing you do. Every second counts in a true medical emergency. Don’t waste it on Facebook. 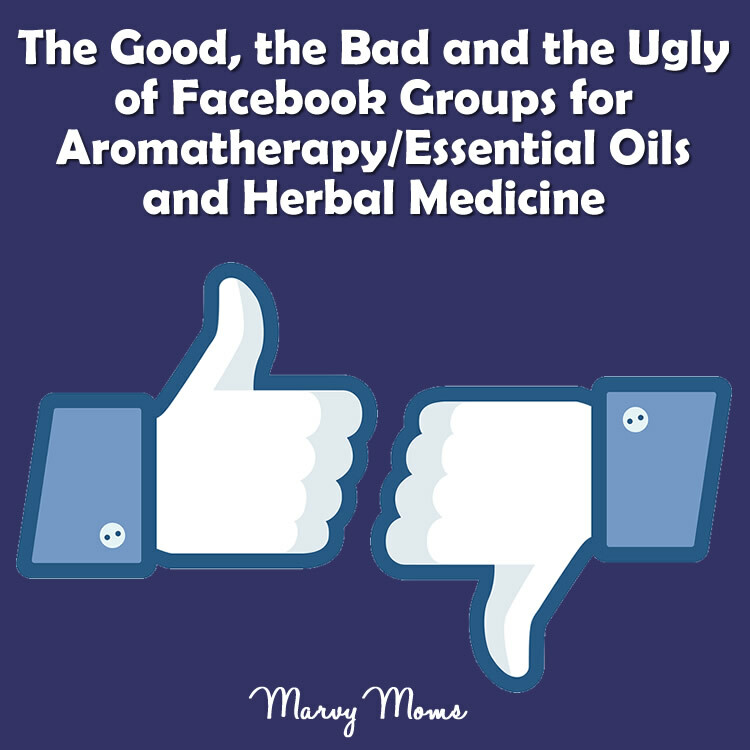 I’m coming off my soapbox now to share with you the list of aromatherapy and herbal Facebook groups that I belong to. Of course the secret groups are not listed here, and there are a few. I *could* tell you about them, but there would be no point since you couldn’t see them or join them anyway. Did I forget any good ones? What other aromatherapy and herbal groups do you belong to that you love?